Wire Supplies has a state of the art P.C. 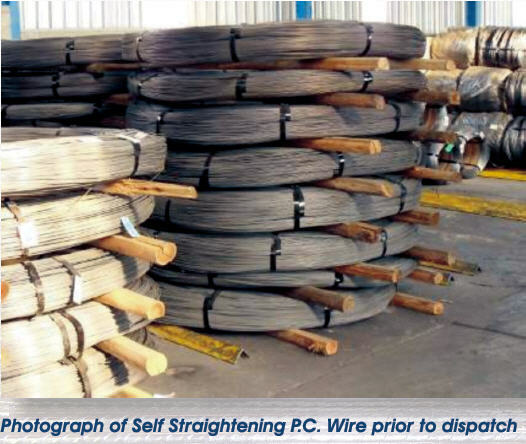 line for the manufacture of high tensile steel wire for use in the pre-stressing of concrete. Wire can now be supplied in the stress relieved or cold drawn condition. 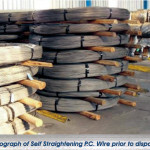 Wire is supplied in large diameter self straightening coils with either a plain or indented surface. Wire conforms in all aspects to the international standard pr EN10138. 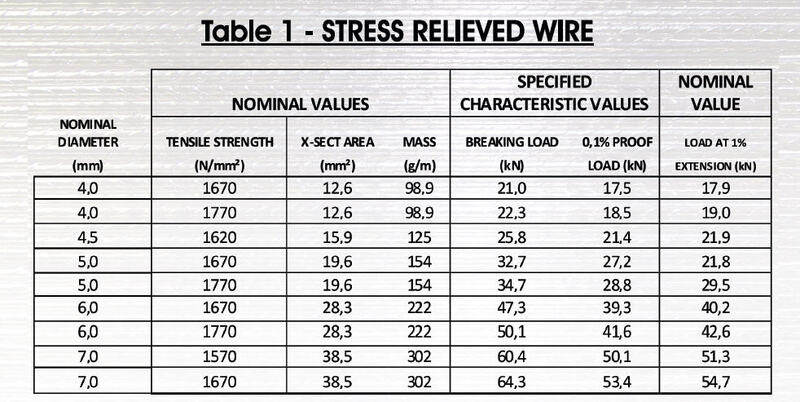 Table 1 below summarizes the dimensions and properties of wire used in the pre-stressing of concrete. ID 1470mm OD 2300mm Coil Mass – 2200kg. Specific customer requirements on coil diameter and mass can be accommodated through adjustable take-ups. Note: Non-standard wire diameters and tensile strengths may be manufactured on request.